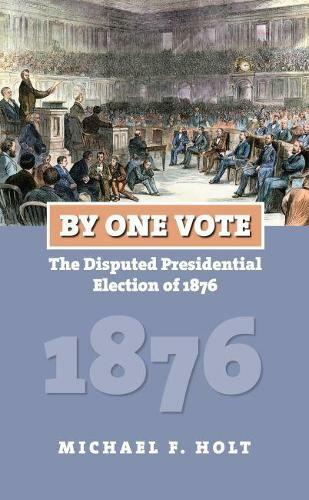 With electoral votes disputed in three states, a Democrat winning the popular vote, and the Supreme Court stepping in to overrule Florida court decisions, the presidential election of 1876 was an eerie precursor to that of 2000. Rutherford Hayes's defeat of Samuel Tilden has been dubbed the "fraud of the century"; now one of America's preeminent political historians digs deeper to unravel its real significance. This election saw the highest voter turnout of any in U.S. history-a whopping 82 percent-and also the narrowest margin of victory, as a single electoral vote decided the outcome. Michael Holt offers a fresh interpretation of this disputed election, not merely to rehash claims of fraud but to explain why it was so close. Examining the post-Civil War political environment, he particularly focuses on its most curious feature: that Republicans were the only party in history to retain the presidency in the middle of a severe depression after decisively losing the preceding off-year congressional elections. Holt begins with the election of 1872 to demonstrate how competition for Liberal Republicans shaped the campaign strategies of both parties. He stresses the critical but little-noted importance of Colorado statehood in August-which changed the size of the electoral-vote majority needed to win-and provides a new answer to the vexing question of why a Democratic-controlled Congress had admitted Colorado in time to participate in the presidential election, when without its votes Tilden would have won. And he argues that the high voter turnout was attributable both to Republicans exploiting fears of ex-Confederates recapturing control of the government and to long-apathetic southern Democrats reacting to war memories and Reconstruction realities. By One Vote shows how this election triggered a Republican revival and established the GOP as the Democrats' major competitor. Holt's compelling analysis of the dispute over electoral votes also explains why charges of Republican fraud are questionable-and how Democrats were just as guilty of corruption. A masterly retelling of this controversial episode, Holt's study captures the mood of the country and testifies to the power that hatreds and fears aroused by the Civil War still exercised over the American people.